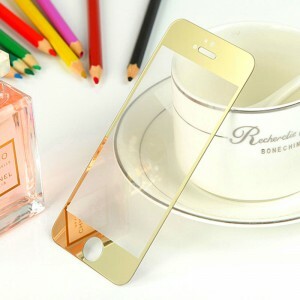 Front + Back Electroplate Mirror Tempered Glass Arch Edge Screen Protectors Film for iPhone 6 4.7 – Gold. Brand New Premium Electroplating Mirror Effect Film protects phone’s screen from scratches, external damages and embellishs the screen. 1.Brand new premium electroplating film, nice, fashion & noble. 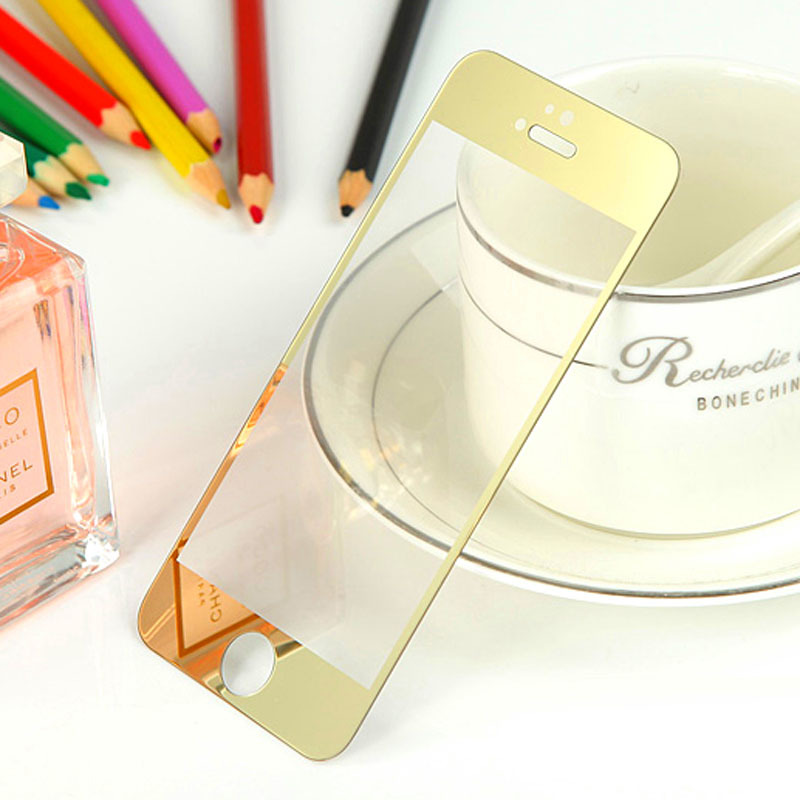 2.Protects phone’s screen from scratches, damages & fingerprints. 3.Ultra thin with erfect and beautiful cutting. 4.Full cover colorful front & back.